Our 2013 USA Track and Field Outdoor National Championships coverage continues here with the Men’s and Women’s 10,000 preview. 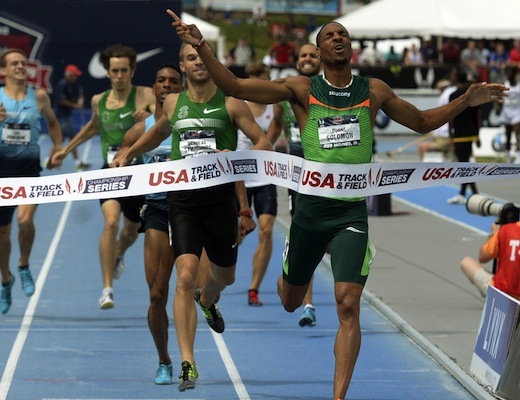 Make sure and bookmark the Daily Relay Coverage of the 2013 USA Outdoor Track and Field Championships and follow @DailyRelay for updates! If you’ve been following Lisa Uhl this week on Twitter, you can tell she seems pretty relaxed. Why not? She’s back home in Iowa, competing in front of many friends and family for a spot on the World Championship team. No pressure, right? We’ll see if perception is reality Thursday night as she lines up against two former training partners and another other tough cookie in Amy Hastings. Is Shalane Flanagan the favorite? Hastings won last year at the trials, but Flanagan was in the middle of a 100 mile week, as she trained for the Olympic Marathon. Flanagan has looked very strong in 2013 and I would expect her to take it from the gun and dare anyone to follow. Will anyone follow or will a second pack form? The big question here is “what kind of shape is Kara Goucher in?” Will Flanagan hold back to keep Goucher in it for the first half? 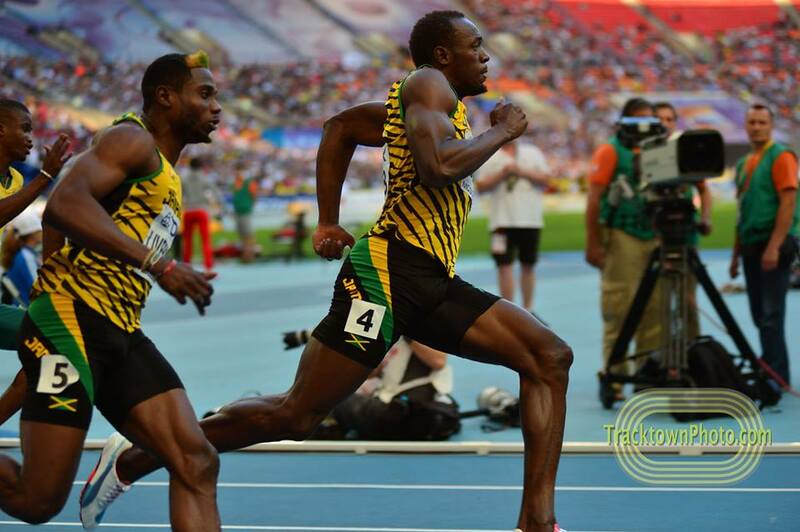 Will they team up and dictate the pace? I don’t think they’ll be running away from Hastings, but this could get interesting. What about Jordan Hasay? I think this is a team she could make, just not this year. Her 32:06 is just a second off the ‘B’ standard, and I would expect that to improve in years to come as she continues to focus on the longer event. I just wouldn’t put too much stock in her chances this year. My prediction: Flanagan, Hastings, Goucher. Uhl could make the team though, if one of the top three opts out of Moscow for a high profile (aka high appearance fee) fall marathon. As mentioned in many other places, on paper, this looks like a race for three spots between four men; Galen Rupp, Dathan Ritzenhein, Chris Derrick and Ben True. This was until a few days ago, when Matt Tegenkamp reneged on his original decision to forego USA Outdoors for the USA Half Marathon Championship in Duluth, and declared. 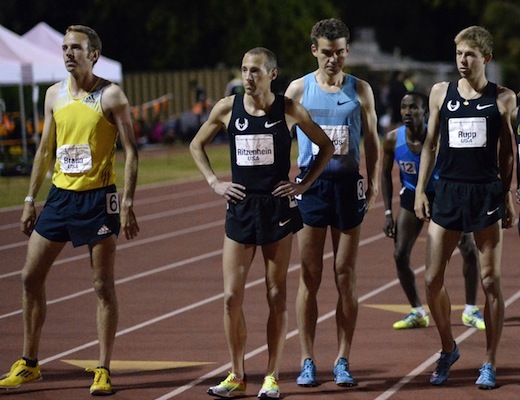 (Editor’s note: Tegenkamp has now withdrawn from the USA Half Champs) What’s his ploy? Is he running to make the team or is he running to help his teammate Chris Derrick earn a spot on the Moscow team? Is he running the half championship? The Schumacher camp usually stays pretty tight lipped about these things and I expect nothing different here. He may not even show up at the line. It could just be another game of mental joust between Schumacher and (Alberto) Salazar. With all this in mind, you figure it’s going to be fairly tactical. The true contenders have the ‘A’ or the ‘B,’ and the team can have two ‘A’s’ and a ‘B’ for Moscow, so it’s not going sub-27:40 in the Des Moines heat. That you can count on. If Tegenkamp is running interference for Derrick, expect Rupp and Ritz to key off of Oregon Project teammate, Luke Puskedra, in the same way. Puskedra likes to take it out, and I would expect nothing different here, but… let’s keep in mind the Schu/Sal chess game. The other guy fighting for his first senior Team USA track appearance is World Cross hero, Ben True. True has had an outstanding year and is afraid of no one. It wouldn’t surprise me if True won the thing if it came down to the last 600 meters. What about the other guys? Ryan Vail always runs an honest race with negative splits. Expect him to press from far out if he’s in it. Bobby Curtis seems to be rounding back into form after moving into the Hansons-Brooks stable. Aaron Braun has proven to be fearless and will bring that same tenacity to the track Thursday, before doubling back Saturday at the half championships. All of these guys have some sort of shot. An outside shot; but nonetheless a shot. In the end, I’d have to pick Rupp, Derrick and True. Why not Ritz? Well, I don’t have a great answer for that. I just have a feeling those three will come out on top. I fully expect Ritz to go from 2000 or 1600 out and make them work for it!